I mentioned yesterday I would post studio images from the past so I want to share with you the work of my parents. 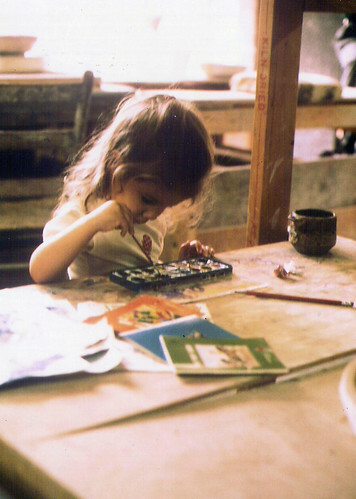 I grew up in an artistic and creative family. 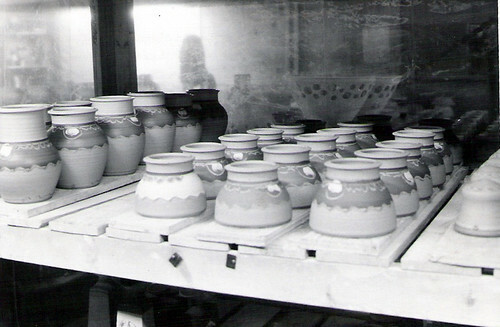 My dad was a potter and my mom was a weaver. 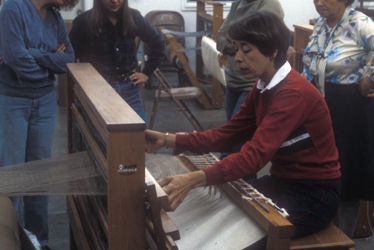 The top image is from dad's studio probably about 30 years ago and the second is my mom teaching a weaving class around 1980 at Arrowmont.